well I have a BOXERS update !!! So excited! I had some fun with photo bucket and worked out how to create collages. Still not exactly what I was looking for but I will have to keep fiddling! 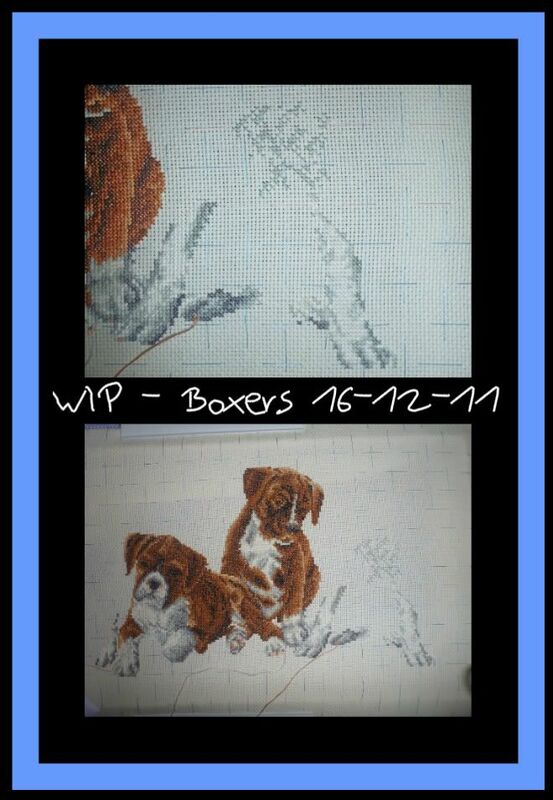 The top half is the close up of the dog, all the new work is the right paw and the chest. A lot of white and greys in this section. It looks so cute I love working on them they always make me smile. After Christmas they become my main project and they're coming with me down to Canberra. I've also been working on my blue and silver ornaments. Another effect I've found in Photobucket. I love fiddling with programs. This ornament is so stunning the silver really glitters. I want to get this ornament onto a computer program but I've been using a program called kg stitch but it isn't doing what I want. I need a program that will let me save the files as PDFs and be able to distribute them if I want to. 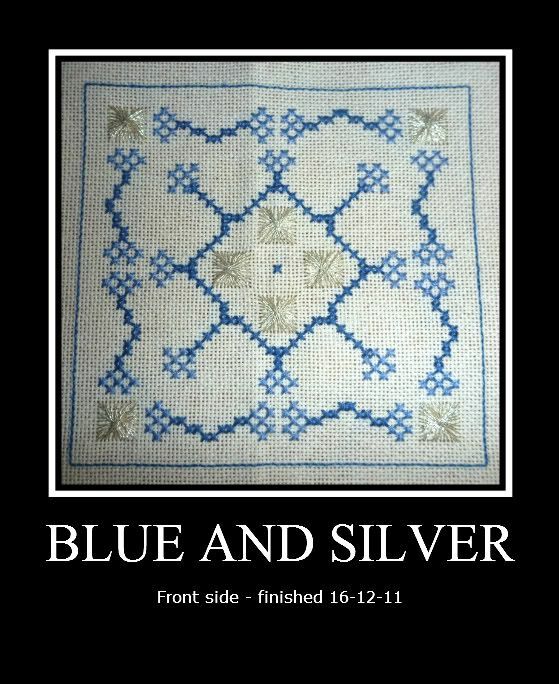 I would like to make a little bit of money from my cross stitch to help fund my habit if at all possible..... so if anyone knows a program please tell me. The boxers are so cute! I can't wait to see them finished. Love the boxers! There are free programs you can get online to convert to files to pdf. I've never tried one but if you google 'convert to pdf', you'll get lots of places to look. There are lots of free pdf conversion programs you can get online. Just google it. I haven't tried any, so cannot recommend one. wow the boxers are so beautiful..
Wow the boxers are looking great!